Reading Jonathan Edwards, she became entranced by his notion of emergent Being — that just as moonlight, rather than being static or intrinsically constant, is a continuous reflection of sunlight, so all existence is from moment to moment constantly recreated by an act of God. That idea stuck, and 50 years later she is still at it, defending theology as the only response adequate to the multiple orders of complexity of the universe and to the strangeness of our being here. The language of belief is, at its best, capacious, she writes. It accepts limits on reason, abides contradiction, and has produced the world’s greatest art and institutions. Instead, we bow to a brute reductionist view that fixes a cost and demands a proof of everything, eviscerating our capacity for awe and wonder. Robinson, who is also an acclaimed novelist (“Housekeeping,’’ “Gilead”), tilts at other windmills of convention in her new book of essays, wearing her scarlet U (for unhip) with pride as she does. She lifts up the despised or devalued, including the humanities, Oliver Cromwell, the Puritans, and President Obama, and brings down the exalted, including the presumed superiority of Europe, the benefits of economic competition, which we extol even as it hollows out our country, and American history (“for the most part a toxic compound of cynicism and cliché”). Even Winston Churchill takes his lumps — he merely blustered until America entered the war — and Renaissance scholars are kicked for their deluded “Tory” belief that Shakespeare used the King James Version of the Bible, which only appeared in 1611, as he was writing his last plays, rather than Calvin’s 1560 Geneva Bible. “What Are We Doing Here?” collects 15 essays by Robinson, all but two of them lectures she’s delivered in recent years. Its “we” refers narrowly to those who teach the belittled humanities and, more broadly, to what the rest of us make of our unpredictable and unexplainable presence on earth. It suffers from overlap, the bane of essay collections. The same deplorable determinists and maligned enlightened heroes pop up with wearying frequency. 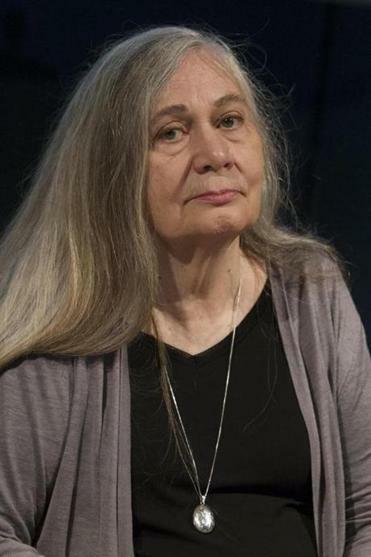 Robinson inadvertently acknowledged the problem in her famous conversation with Obama for the New York Review of Books in 2015, when she was asked how she picked the topics of her books of essays. Her main themes are the limits of positivism, the value of the humanities, the Puritans’ moral, intellectual, and political contributions, and the growing malice in public speech as ideology has replaced thought, and truth has lost its power to persuade. Unusually for a proponent of religion, Robinson has taken pains to understand contemporary physics and cosmology, delving into quarks and the accelerating expansion of the universe. Her efforts have left her with more respect for the ancients and theologians like Edwards than the physicists. The cosmos, she writes, is not a clock whose making and workings are transparent. For Robinson it is a swirling and unfathomably deep mass of complexities, and at its heart is a God who is intentional toward all creation, a God who is at once hidden and manifest, elusive and radically sustaining. It is this anchoring belief that informs her intemperate and unconventional views, which may strike some readers as literary caster oil. If they are such, she offers it so forcefully and brilliantly that the more you read, the better it tastes. Either way, “What Are We Doing Here?” is certain to take your mind off why Butler was benched in the Super Bowl.